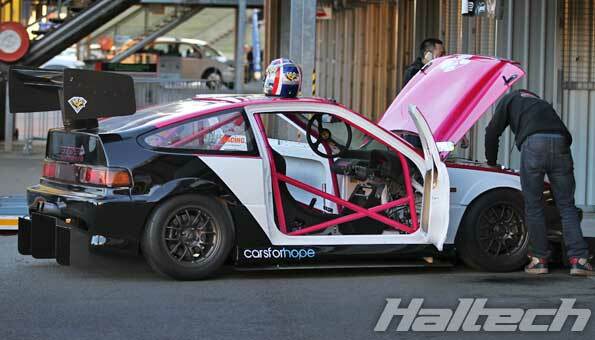 A true time attack die-hard, Rob Nguyen has raced his “Mighty Mouse” CRX since 2008 – starting at the very first Superlap Australia event at the now defunct Oran Park Raceway. Over the past five years Rob’s car has evolved into a carbon-clad worked race machine, with some of the most extreme bodywork ever fitted to a CRX. Every year, Rob has improved the car, chipping away at lap times, getting it down to an impressive 1.34.16 lap around Sydney Motorsport Park. That lap time was good enough for a 6th place in the Pro Am Class at the 2013 World Time Attack Challenge. The Mighty Mouse was also the fastest naturally aspirated car at the 2013 WTAC. The Mighty Mouse CRX sticks to the all-motor VTEC philosophy with a high revving, naturally aspirated K24A under the hood pumping out close to 300bhp to the front wheels. 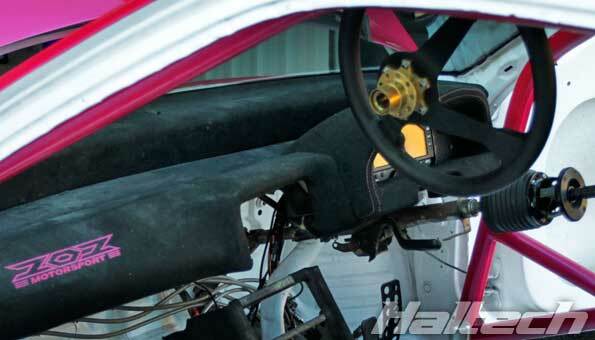 The car has made the switch to Haltech in 2013 and has been using the Honda Pro Plugin ECU ever since. We wish Rob the best of luck at this year’s World Time Attack Challenge.